Just last Sunday I spent most of the day aboard a train. Of course it was a modern Amtrak train, but I did spend a moment thinking about the heyday of locomotive transportation, imagining myself crossing the country in the 1800’s. 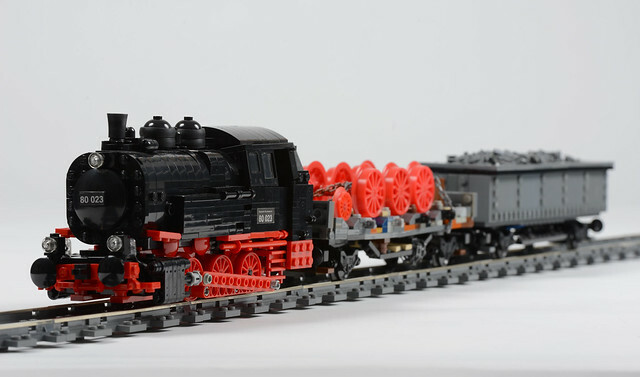 While I can’t speak with much authority on trains (what can I say, I just don’t know much about them), I can say I like the looks of this one by builder holgermatthes. And if you do too there’s great news, Holger has shared the instructions so you can build your own! By the way, if you’re into trains, and you want to be a blogger, clearly we have need for an expert in the ranks.